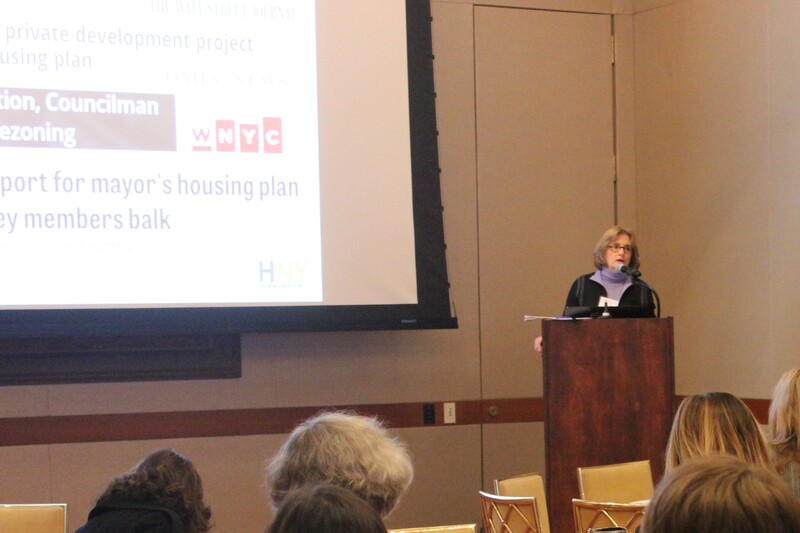 New York Women Executives in Real Estate (WX) is pleased to announce speaker Vicki Been, NYC Department of Housing Preservation & Development, made a special presentation at the organization’s monthly breakfast series on Tuesday, December 6th, 2016 at The Harvard Club. WX hosts monthly breakfasts that present a range of speakers and topics of interest to the commercial real estate community, and are open to members and their guests. At the November 17 WX New York Women Executvies in Real Estate’s Woman of the Year celebration at the Pierre, honoree Wendy Rowden, president of 42nd Street Development Corp., was introduced by MaryAnne Gilmartin, president and CEO of Forest City Ratner Cos.
Wendy Rowden, president of 42nd Street Development Corporation, was celebrated as the 2016 Woman of the Year by WX at Its annual gala at the Pierre on November 17, 2016. 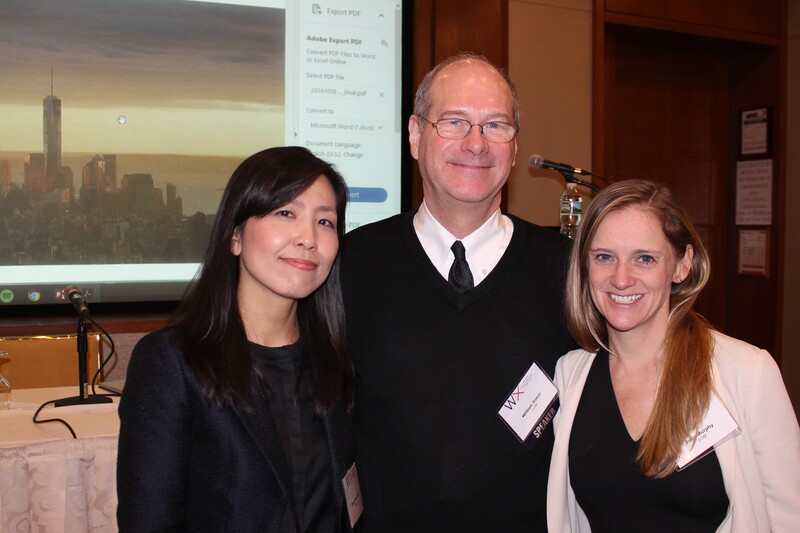 New York Women Executives in Real Estate (WX) presented a breakfast panel on Tuesday, November 28th, 2016 at The Harvard Club in New York City. 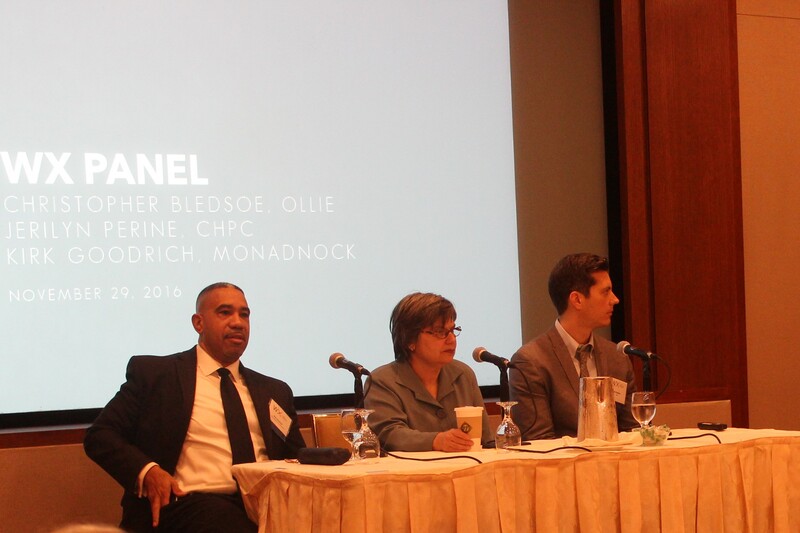 Panelists Chris Bledsoe, Co-founder of Ollie, Kirk Goodrich, Director of Development at Monadnock Construction and Jerilyn Perine, Executive Director of Citizens Housing Planning Council discussed the new shape of housing in New York City. WX hosts monthly breakfasts that present a range of topics and speakers of interest to the commercial real estate community, and are open to members and their guests. 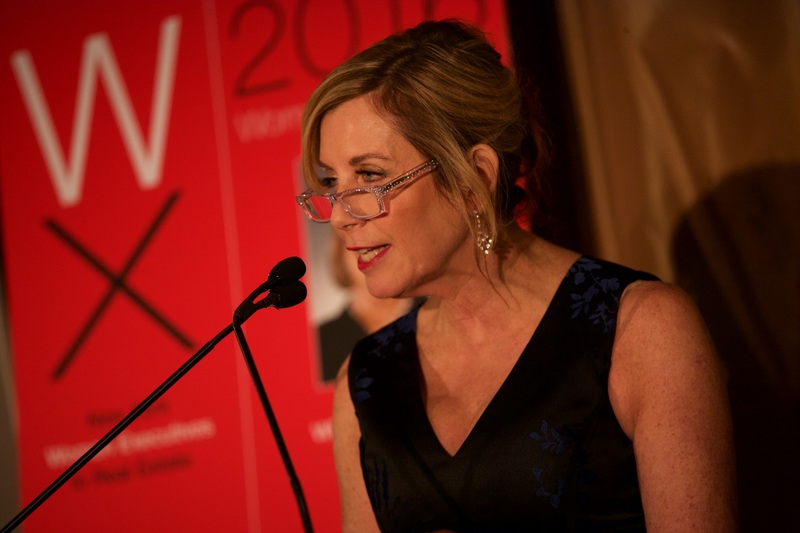 WX New York Women Executives in Real Estate (WX) is pleased to announce that its 2016 Annual Woman of the Year Gala was held on Thursday, November 17, 2016 at The Pierre in New York City and was a record-setting event with over 550 guests in attendance. This year’s gala is the largest to-date and sold out months in advance, raising over $585,000. WX recognized Wendy Rowden, the president of the 42nd Street Development Corporation, as its woman of the year. Her colleagues in the industry applauded Rowden at WX’s 2016 Annual Woman of the Year Gala, which was held at The Pierre November 17, 2016. New York Women Executives in Real Estate (WX) is pleased to announce that William F. Baker PE, SE, FASCE, FIStructE, NAE, FREng, Structural Engineering Partner for SOM and Chung Yeon Won, AIA, LEED AP, Associate Director at SOM, made a special presentation on probing the technology and design behind today’s newest generation of skyscrapers at the organization’s monthly breakfast series on Wednesday, October 26, 2016 at the Harvard Club in New York City. WX New York Women Executives in Real Estates’ 2015 Woman of the Year Gala honored Carmen Bowser, of Eastpointe Consultants, LLC, for her accomplishments as a leader in real estate and her contributions to WX.